Our day began at 8.30am at Edwards Depot for our annual trip which this year was to Bristol. We were all in good spirits despite a damp and grey start to the weather. 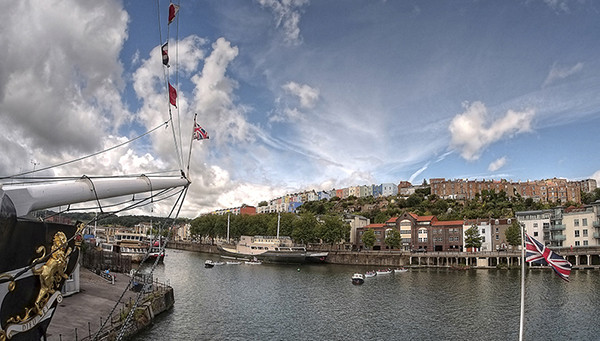 This soon cleared up and by the time we reached our first destination, the SS Great Britain, it was warm and sunny. We all headed to the cafe for refreshments before the serious business of taking photographs. Whilst sitting outside with a coffee - someone who shall remain nameless to spare his blushes - enquired as to the whereabouts of the ship. The answer to which was (said in panto style) "it's behind you!" At the SS Great Britain we had the choice of visiting the ship itself, taking a ferry ride or simply taking a walk around. Following our return to the coach we headed to the Clifton Suspension Bridge. We had an hour at this spot which passed really quickly (probably even quicker for the three members of the party who chose to remain in the George Hotel for a liquid lunch, lol). After departing the bridge the majority of our party were dropped off at Bristol Zoo whilst the remainder chose to visit the city centre. Our final destination was to the Huntsman Hotel in Chepstow. Here we all enjoyed a superb three course meal and a chance to relax and chat to each other about the day. A wonderful day was had by all of us and a big thank you to both Richard and Marie for all their hard work in organising everything as well as Liz our driver.